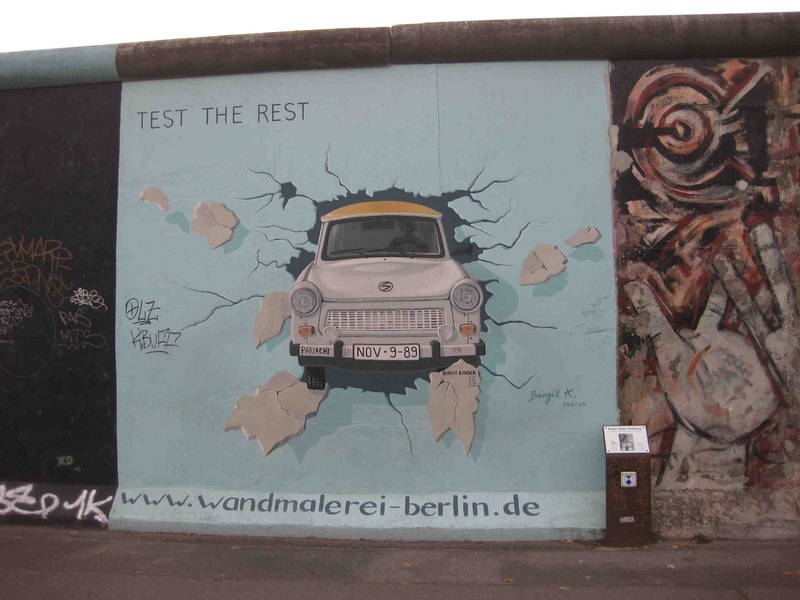 Fragments of the infamous Berlin Wall are scattered throughout Berlin. 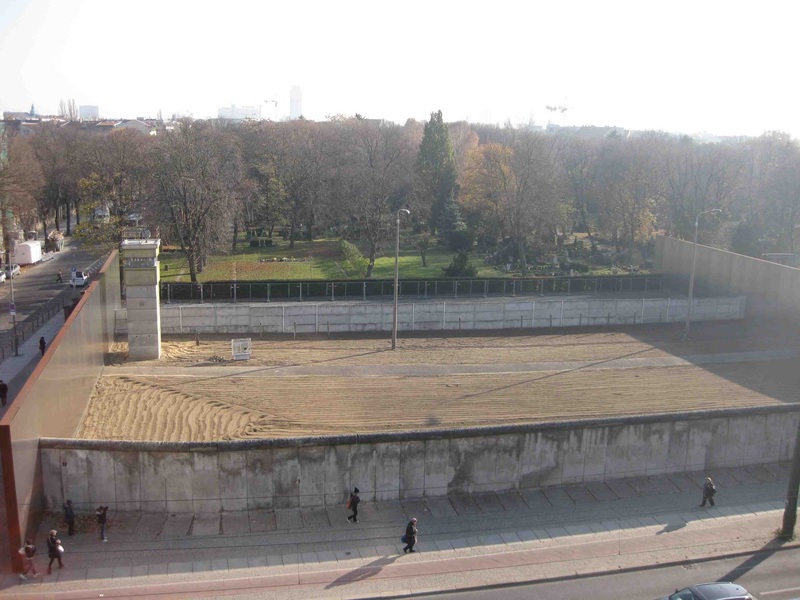 A sizeable portion of the wall has been retained by architects Kohlhoff and Kohlhoff as part of the extraordinary Berlin Wall Memorial. 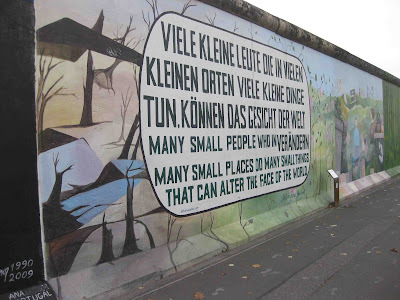 In reality there were two walls, one some distance behind the other. 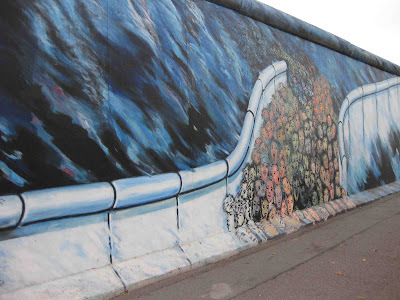 It’s no small wonder that anyone managed to escape at all. 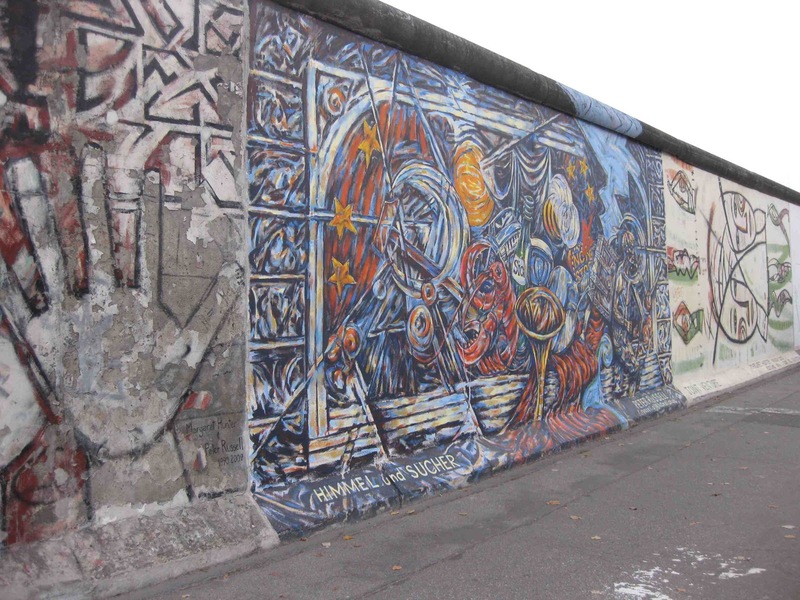 There is a permanent outdoor exhibition that gives a chilling insight into what life was like in a divided Berlin, including a memorial wall which honours those who died during attempts to escape from the east side into the west. Also on the site is the Chapel of Reconciliation. Adjacent is an Information Centre that relates the history of the wall through photographic exhibitions and a series of short films. Directly across the road is the Documentation Centre, complete with a lookout tower. 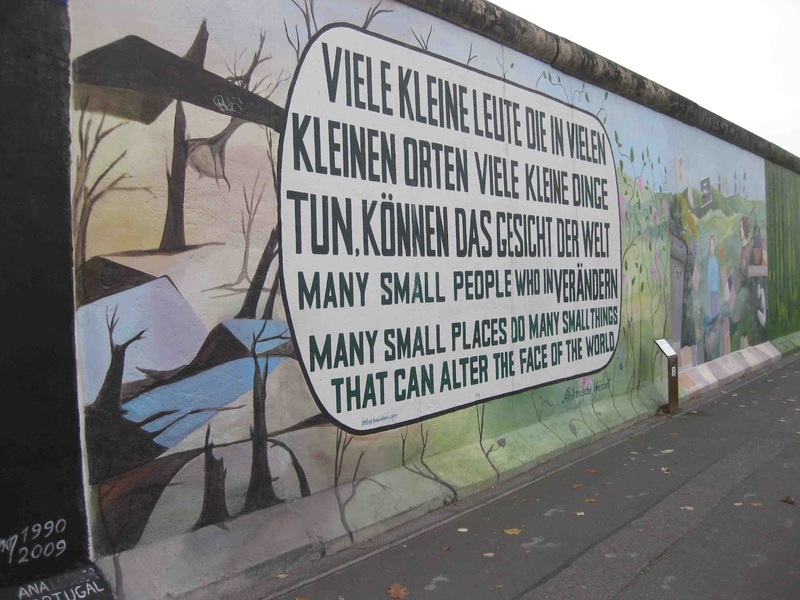 A climb to the top is highly recommended. To read more about the Berlin Wall Memorial, click HERE. 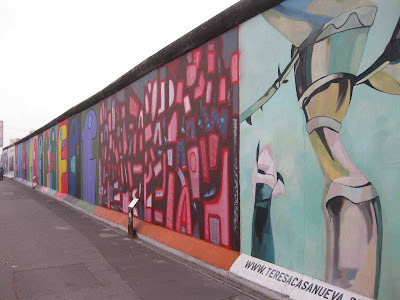 Near the centre of Berlin is the longest outdoor gallery in the world. 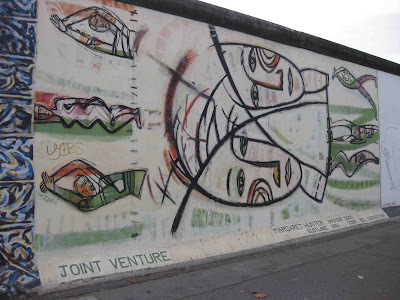 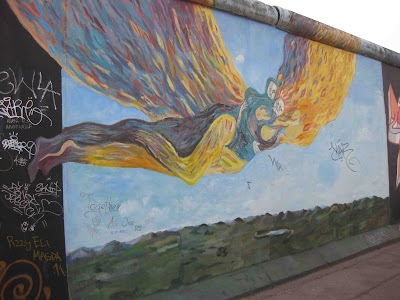 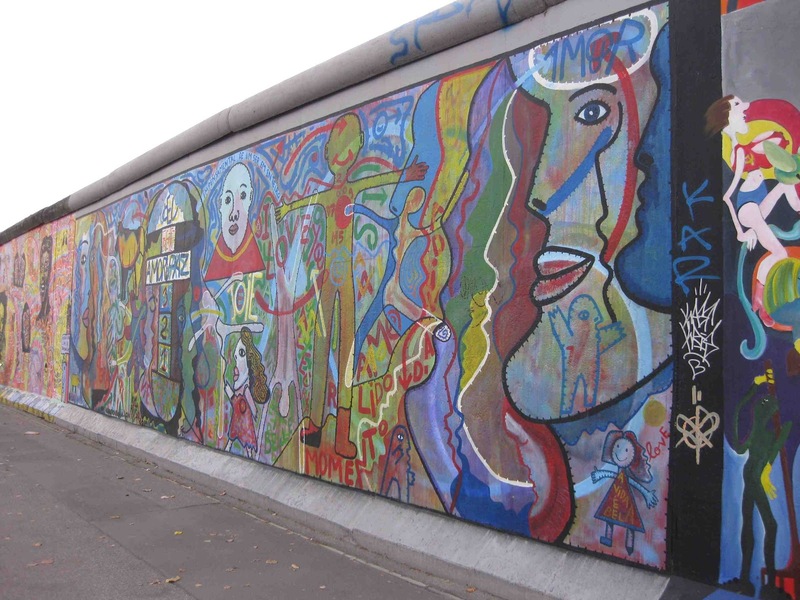 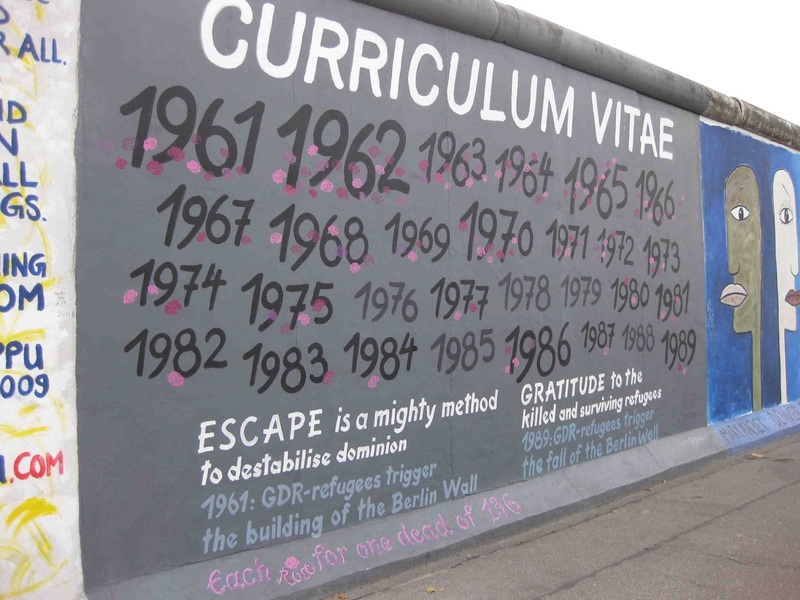 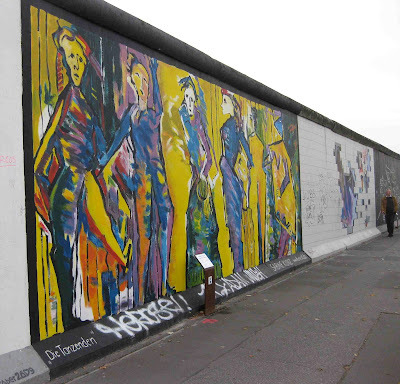 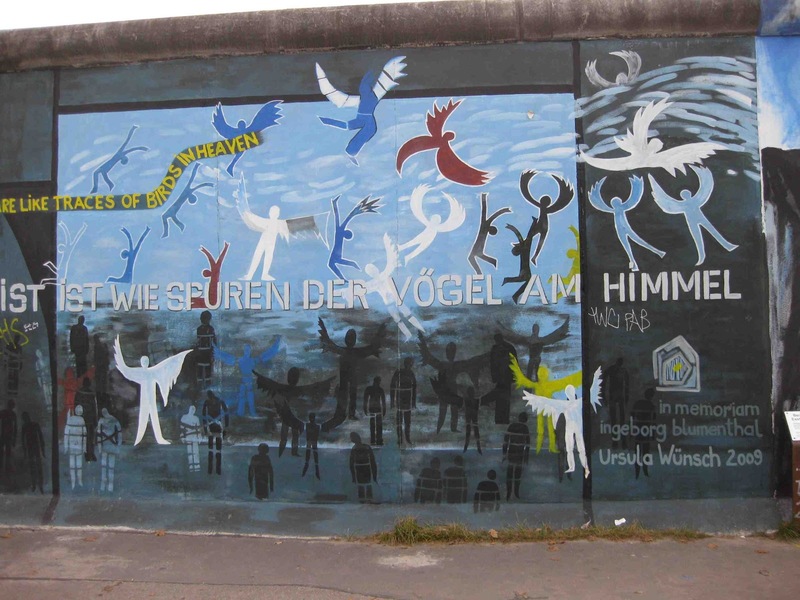 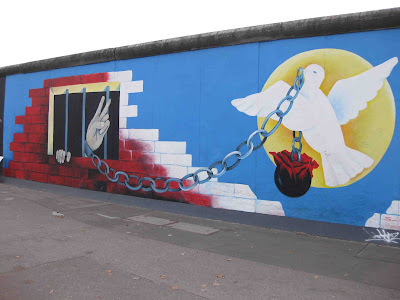 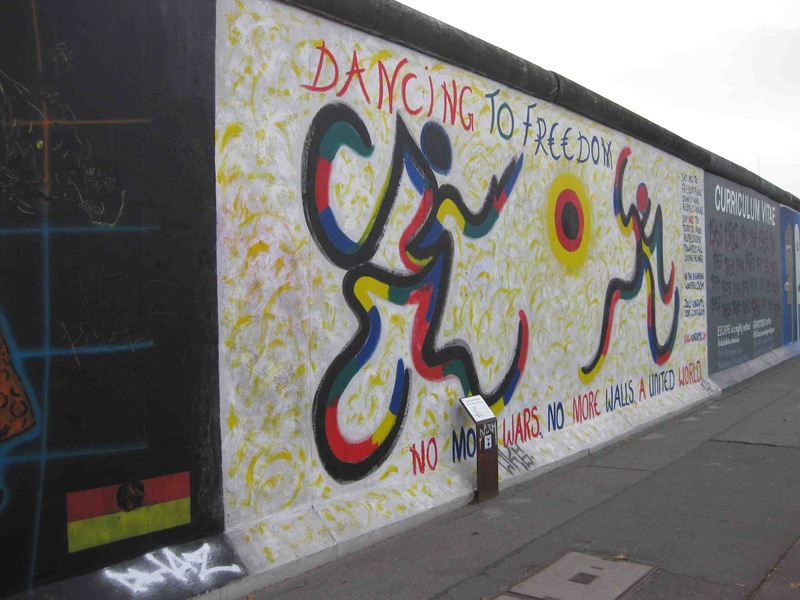 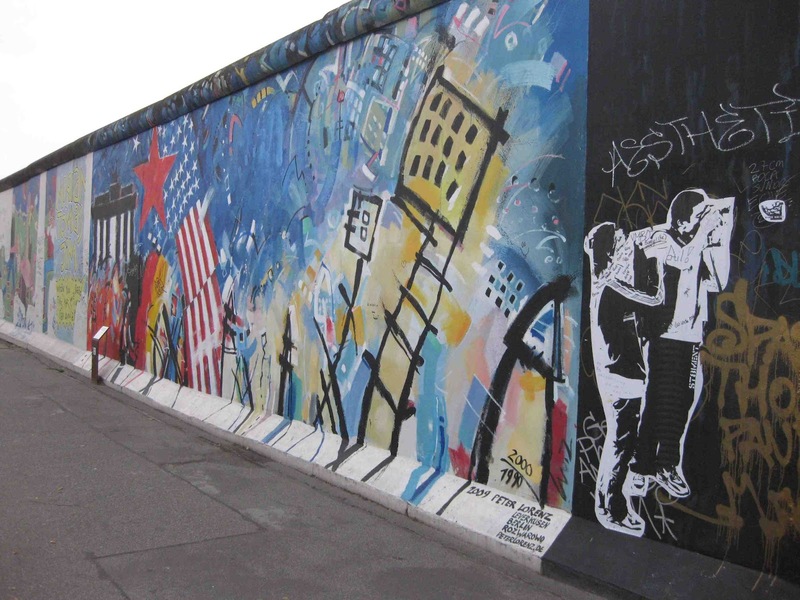 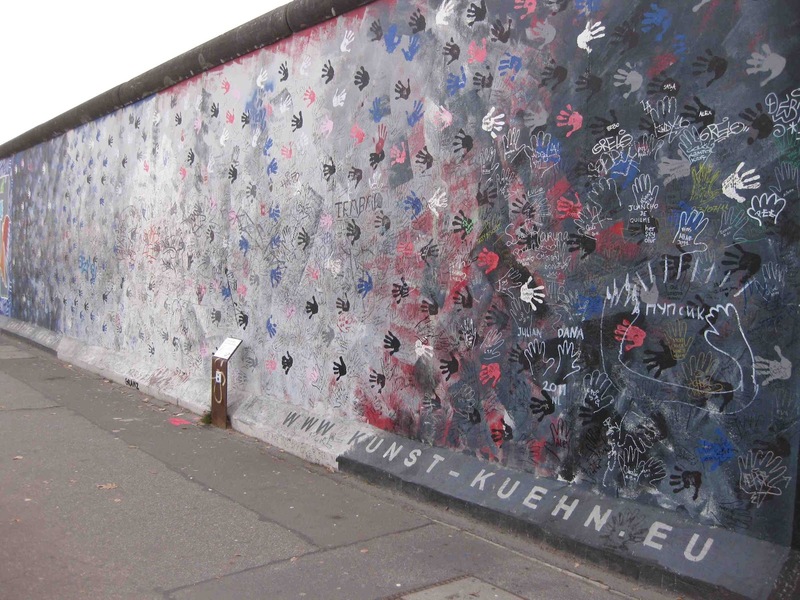 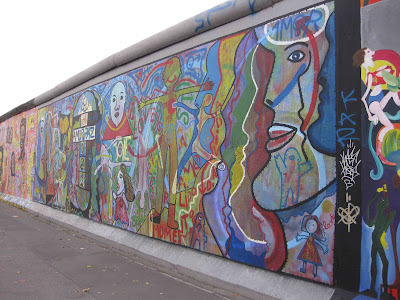 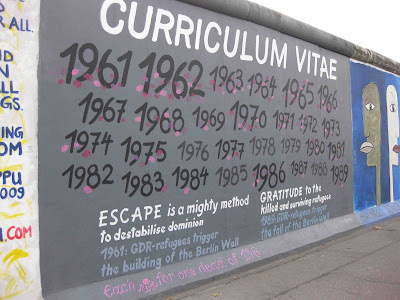 The East Side Gallery is a 1.3km long section of the Berlin Wall on which artists have also acknowledged the Wall’s dark history – but, like the Berlin Wall Memorial, more than anything their works commemorate the extraordinary courage and endurance of the human spirit. 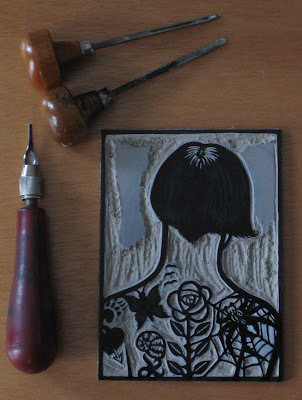 Here is a sneak peak at two linocuts in progress. They are part of a long-term project, begun in 2011 at The Art Vault, that is still very much in its early stages. 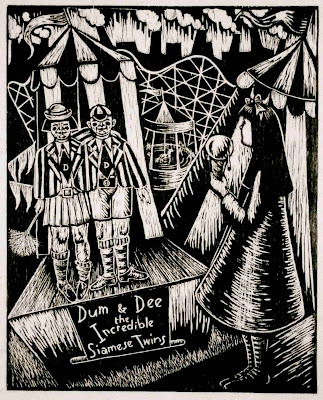 References to carnivals, circuses and sideshows have sporadically appeared in my work, dating way back to childhood scribbles - although thankfully none of these are extant. 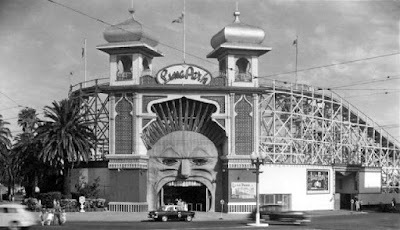 Doubtless my lifelong fascination with the subject is a direct result of growing up in Blessington Street, St. Kilda, which is walking distance from Luna Park. 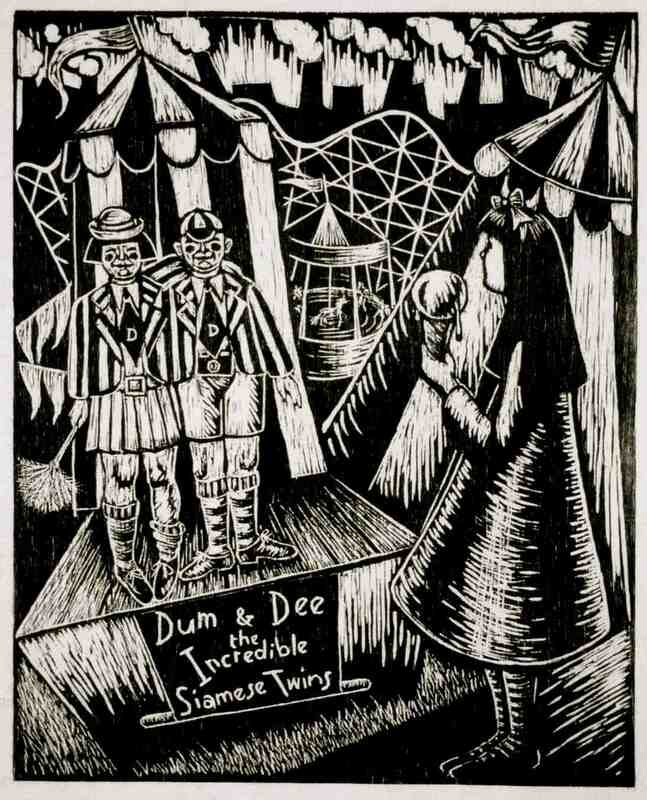 My recollections of it include the Giggle Palace and all the mind-boggling wonders within (it has long since been destroyed by fire), the River Caves, the stomach-churning Rotor, and an extraordinary ride (dating from around 1908, if memory serves me correctly) that originated in New York’s Coney Island. 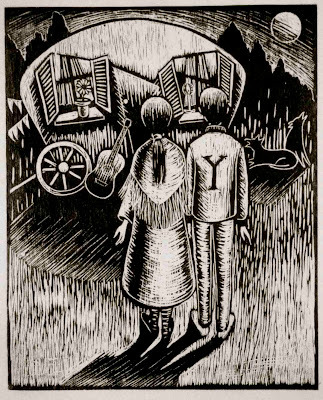 The exteriors of the latter’s elegant velvet lined carriages were exquisitely hand painted – but the whiplash-inducing ride itself was definitely not for those with delicate constitutions - even by today’s standards. Although Luna Park had already started the sad, irrevocable process of passing its prime, it still retained much of its former magic. 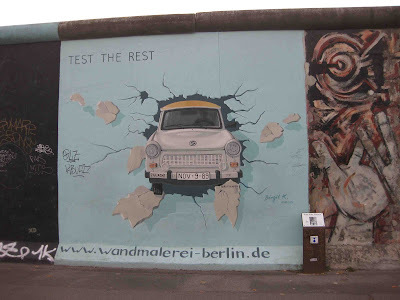 Now, despite the best efforts of its supporters, it’s all rather generic. The magnificent Heritage Listed merry-go-round is the sole survivor from its glory days. 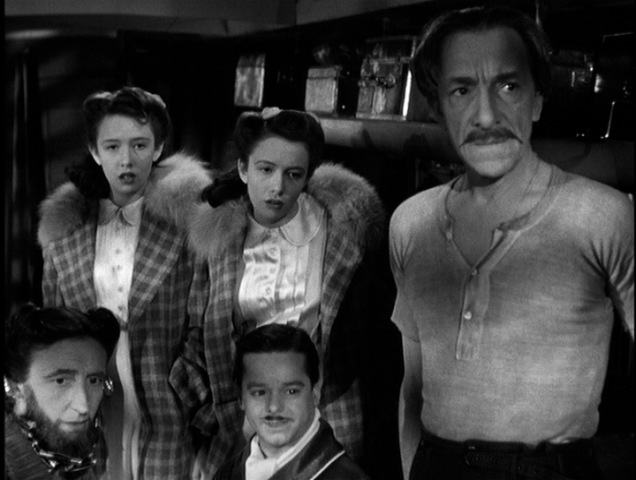 In direct contrast is the touching scene in Hitchcock’s picaresque Saboteur (1942) in which a troupe of circus ‘freaks’ are portrayed with warmth and compassion. 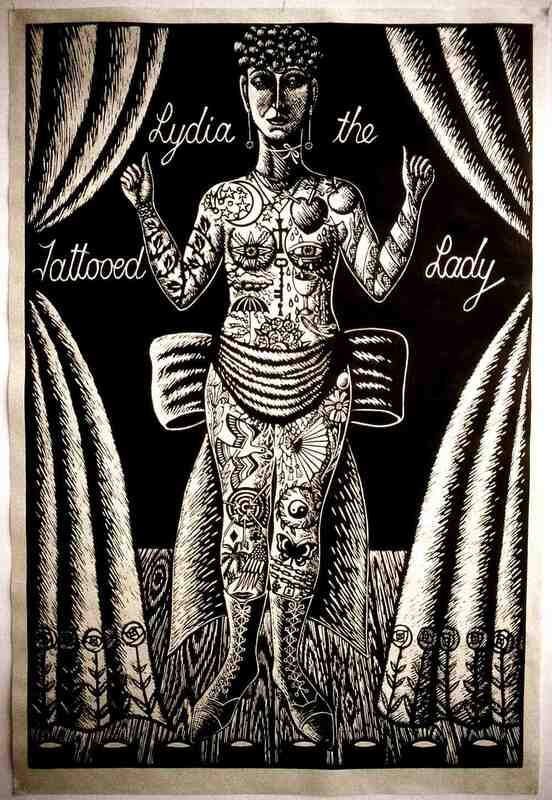 It was partly, if not entirely, written by Dorothy Parker. Reportedly Hitchcock was delighted with her contributions to this segment, but believed that at the time of the film’s release its subtleties were lost on most audiences. Here are selected examples of carnival and sideshow related images that have featured in my past work. 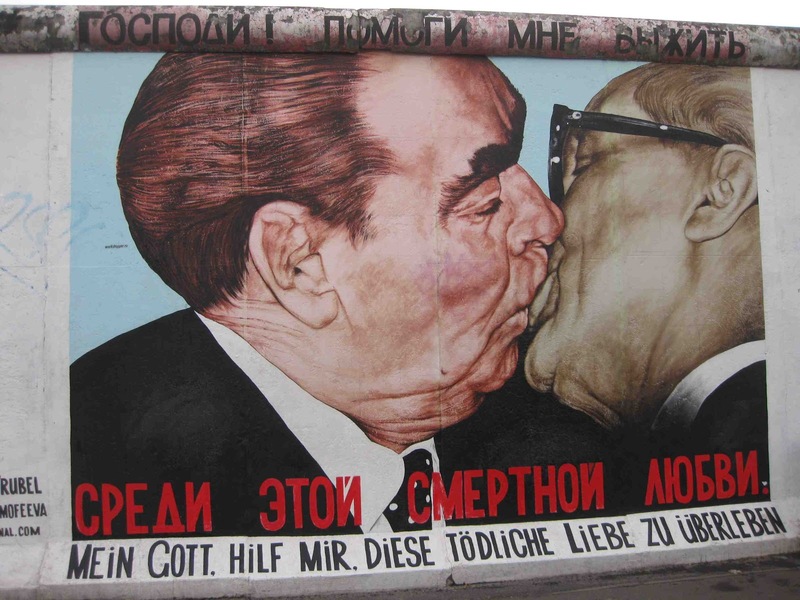 Some may be more familiar than others. 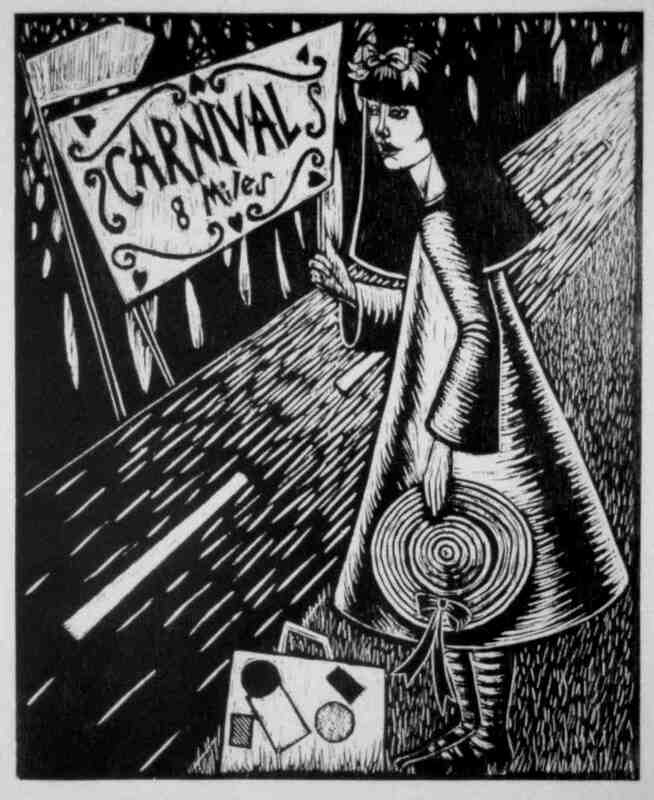 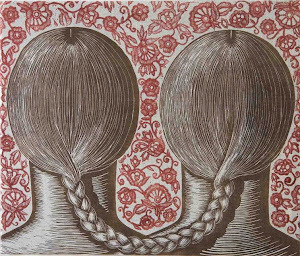 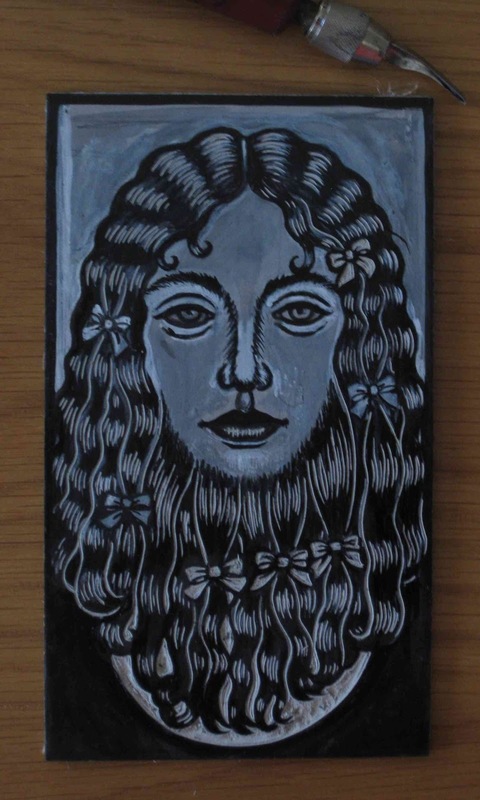 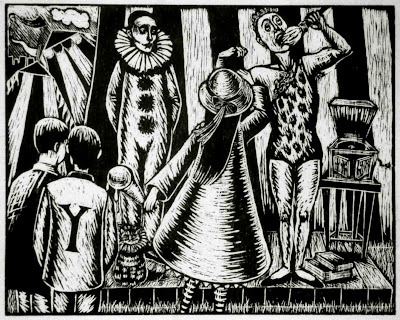 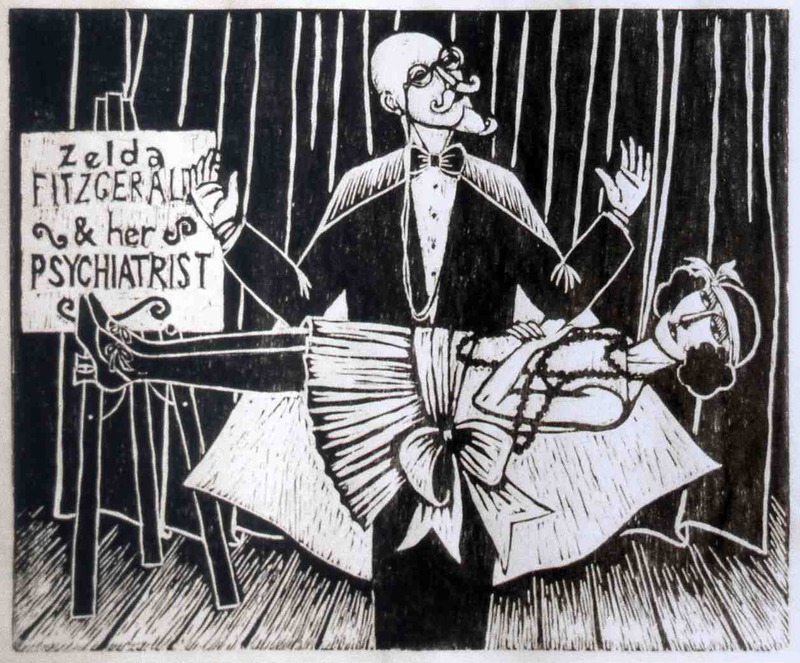 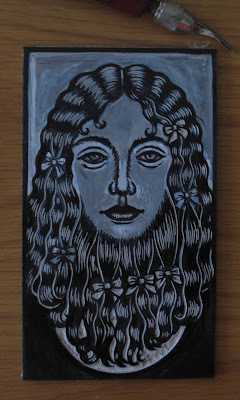 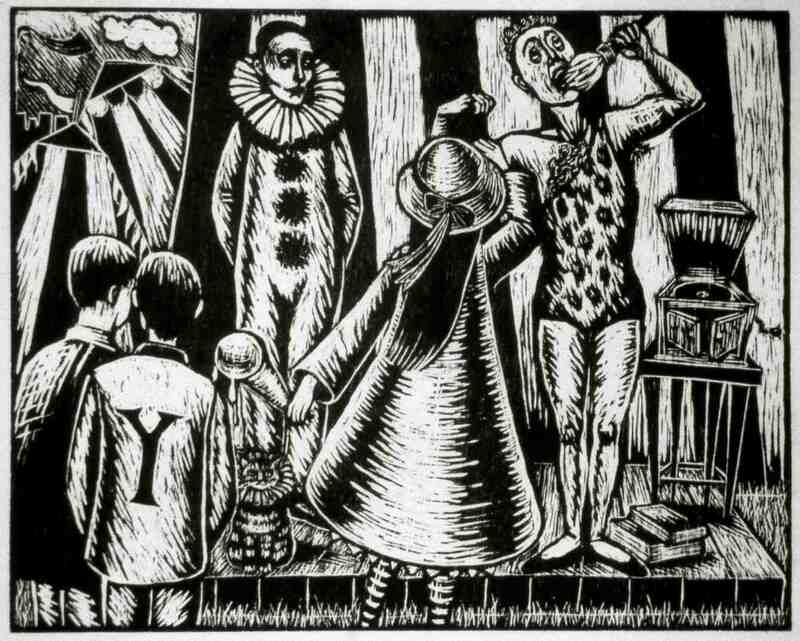 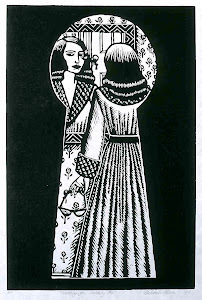 The woodcuts from the Alice in the Cities series of the late 1980s have had relatively little exposure. 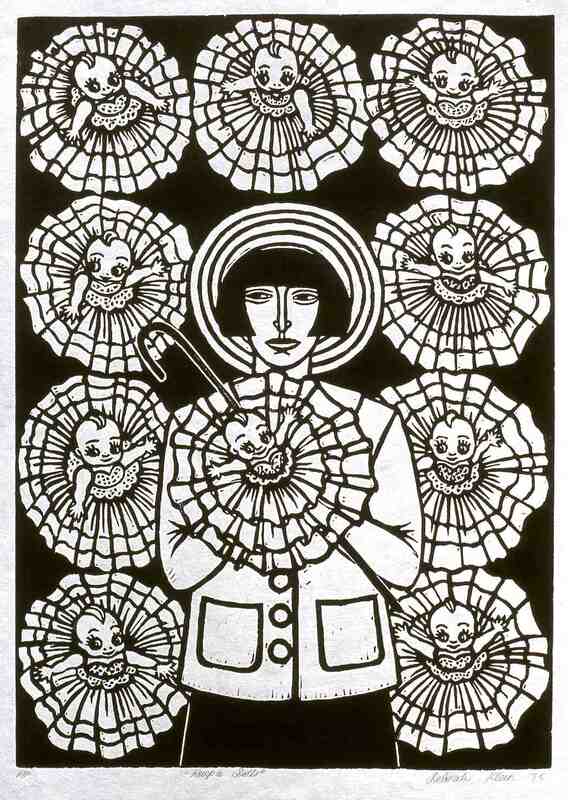 They are the first five images directly below. For those who are familiar with The Cabinet of Dr Caligari, its influence on these works will be more than evident. 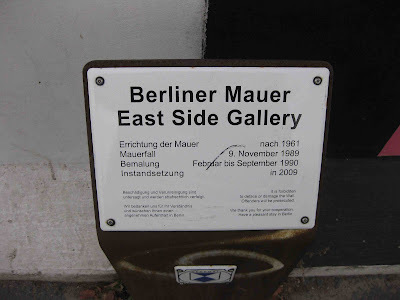 Before my recent Berlin sojourn (in November 2011) becomes naught but a distant memory - at least until the next visit - here is the first of a short series of selected highlights. 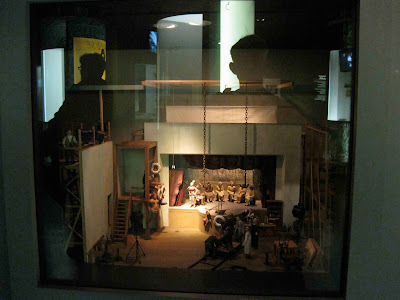 I’m starting with this fabulous museum, as it has helped rekindle my interest in silent cinema, which in turn appears to be infiltrating some of my current work. 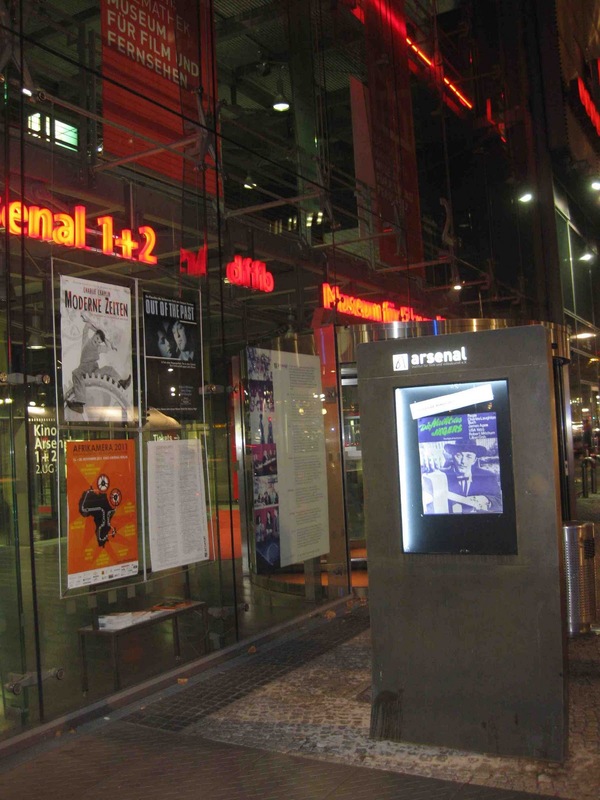 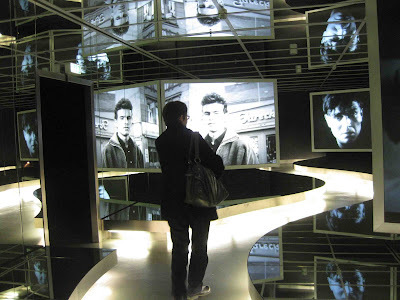 Part of the Filmhaus, which also includes a film school and the Cinematheque-like Arsenal cinemas, Filmmuseum Berlin provides an immersive, hugely entertaining and exceptionally instructive journey through the history of German Cinema. 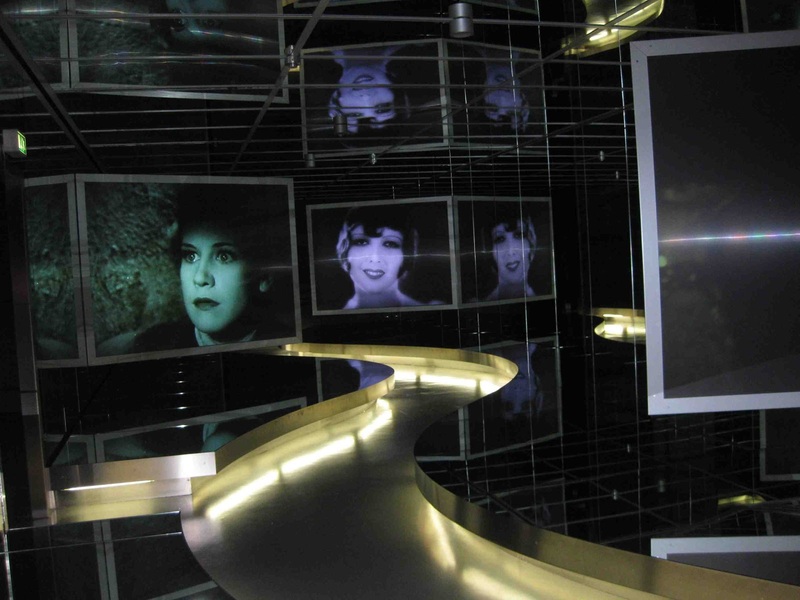 I felt very much like Lewis Carroll’s Alice, particularly when walking the Caligari-like path that snakes through its dizzying mirrored multi-screened entrance hall - although for film buffs, Wonderland and Looking Glass World combined have nothing on this place. 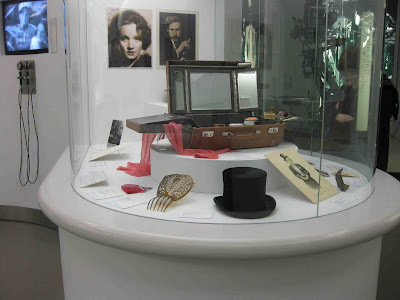 From Berlin-born Marlene Dietrich’s estate the museum has inherited a vast holding that includes photographs, letters, items of personal clothing and, most notably, costumes from her films. 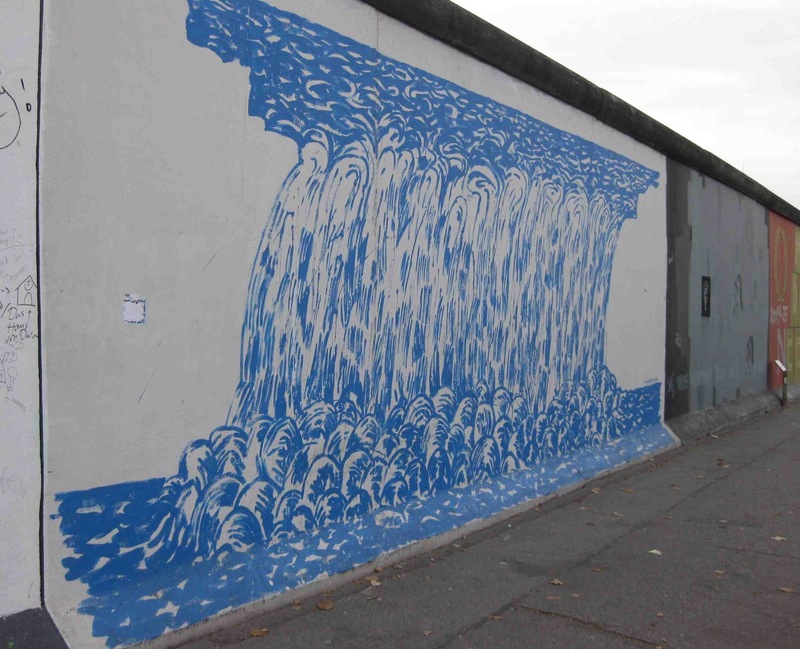 These are regularly rotated. The installation view immediately following includes photographs of Dietrich and her mentor Josef von Sternberg, along with the top hat and other accessories and artifacts from her first Hollywood film Morocco (1930, dir. 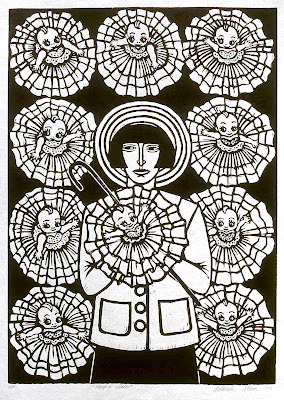 Josef von Sternberg). Pictured second below is the costume Dietrich wore as dance hall girl Frenchie in the comedy western Destry Rides Again (1939, dir. 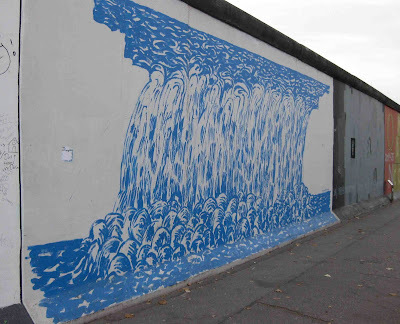 George Marshall). 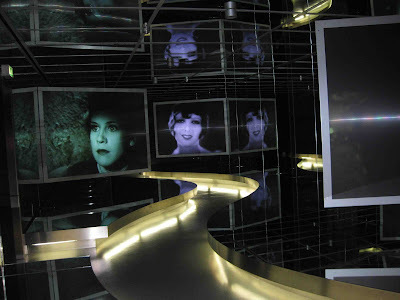 Cast completely against type, her droll, earthy performance (opposite James Stewart) is considered to be responsible for bailing out her sinking film career. 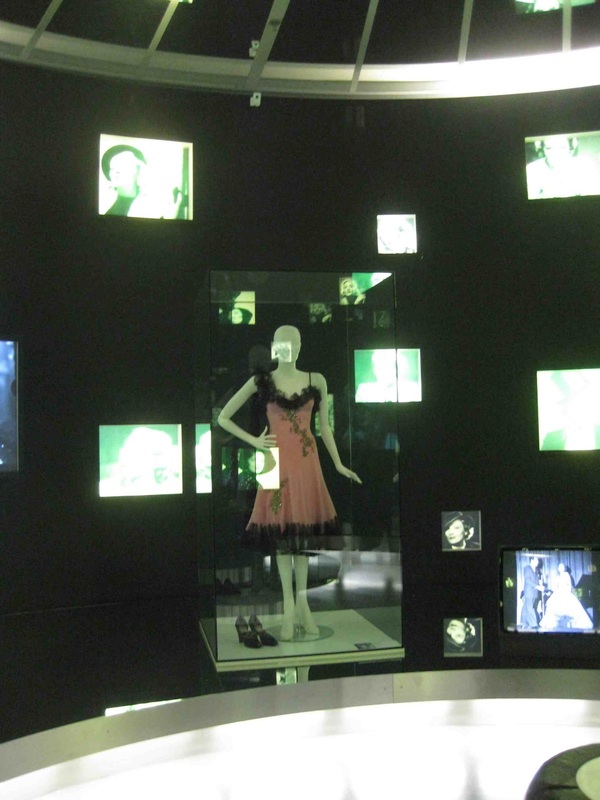 The exhibits that focused on German silent film and early talkies were especially captivating. 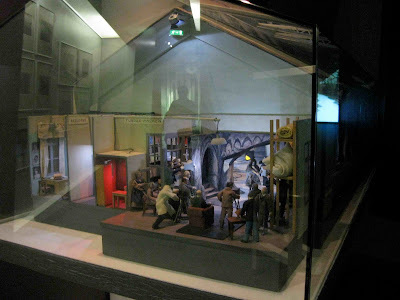 These included posters, costumes, stills, film clips, and superbly crafted scale models of film sets, including (first and second directly below) The Cabinet of Doctor Caligari (1919, dir. Robert Wiene) and The Blue Angel (1930, dir. 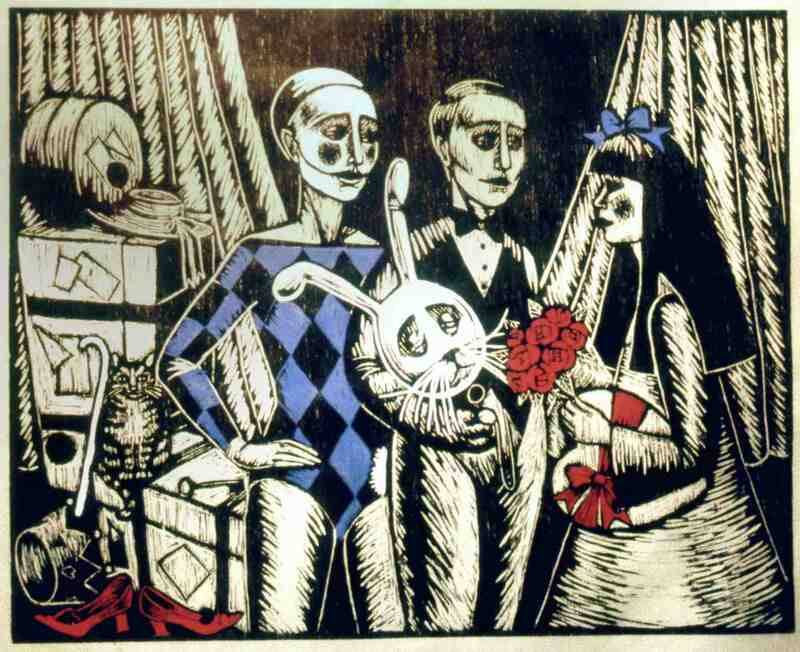 Josef von Sternberg). 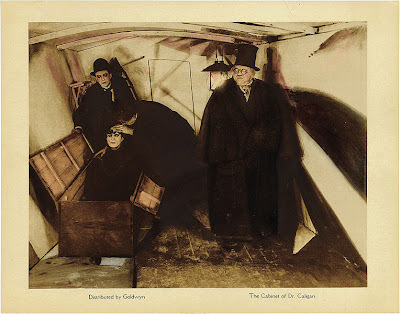 Among the costumes was a touchingly evocative facsimile of the doorman’s coat worn by Emil Jannings in the silent classic The Last Laugh (1924, dir. 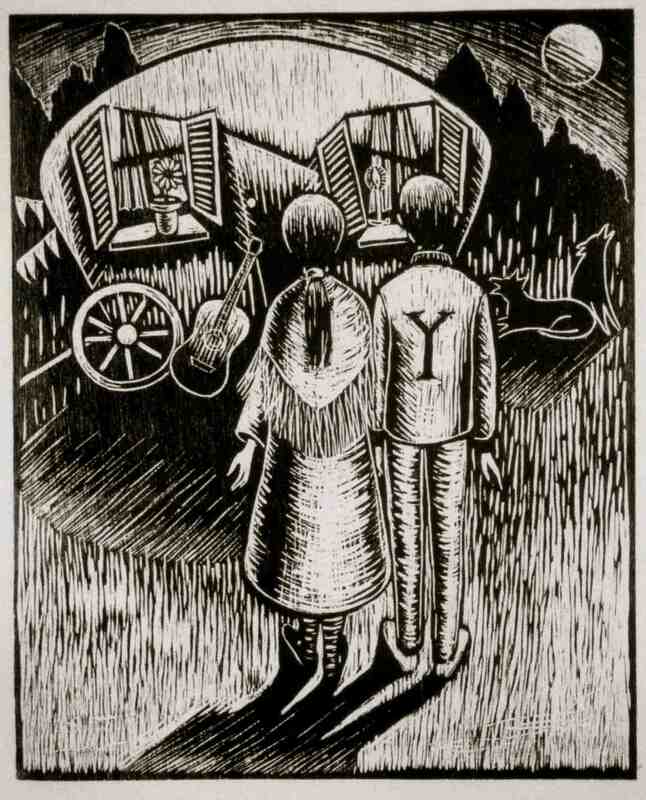 F. W. Murnau). 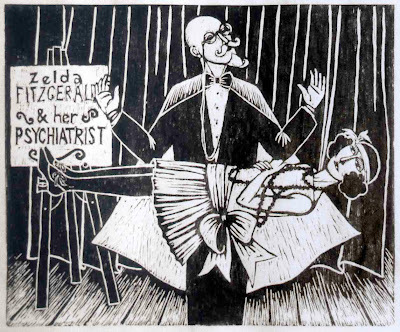 But best of all were a series of film clips of silent movie actress Asta Nielsen, whose acting range (unlike that of the far better known Dietrich) appeared to be limitless. 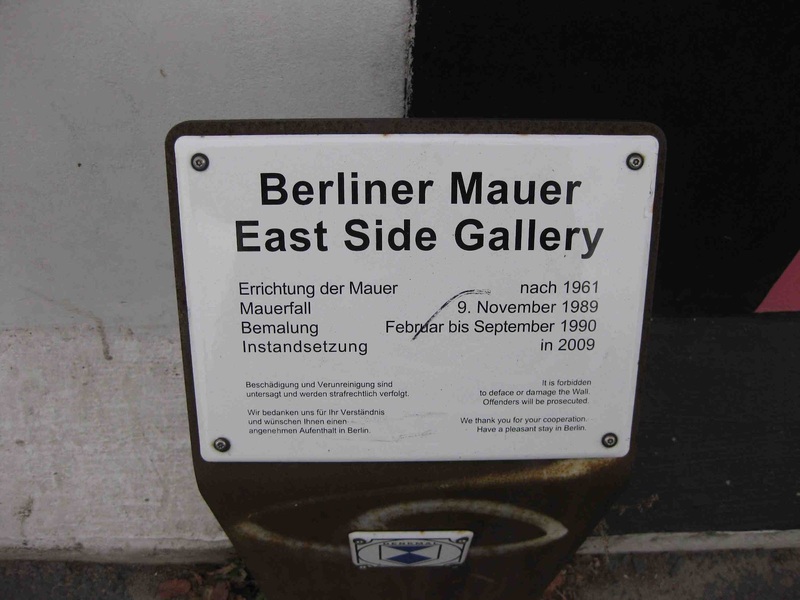 I knew little of her work, and have the Filmmuseum Berlin to thank for introducing me to it. 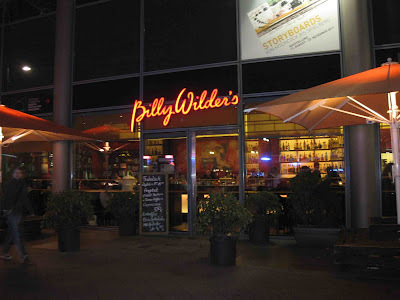 Our lengthy visit to this extraordinary place ended in the bar on the ground floor, named for legendary director Billy Wilder, whose own dazzling career began in Berlin. We drank a toast to him.